Northern Virginia is a densely populated area with diverse cultures intermingled. Unfortunately car accidents are likely to happen among this large population with varying driver experience. A common injury resulting from auto accidents is whiplash. Whiplash is a simple word to describe a complicated injury. The extent of the injury depends on the individual and the severity of the accident. But learning what whiplash is doesn’t have to be complicated, and neither is learning how to treat whiplash symptoms in Reston, VA.
Whiplash is a condition that involves any indirect injury to the neck or cervical spine that is not a fracture. Though whiplash can occur in various high impact accidents, it is most common in auto accidents. This condition happens when the neck hyperextends and is pushed forward. It can also be pushed to the side. Whiplash symptoms may not show themselves until 72 hours after the accident. Whiplash symptoms present themselves not only physically, but there can also be psychological symptoms. Both these physical and psychological whiplash symptoms may worsen if left untreated. 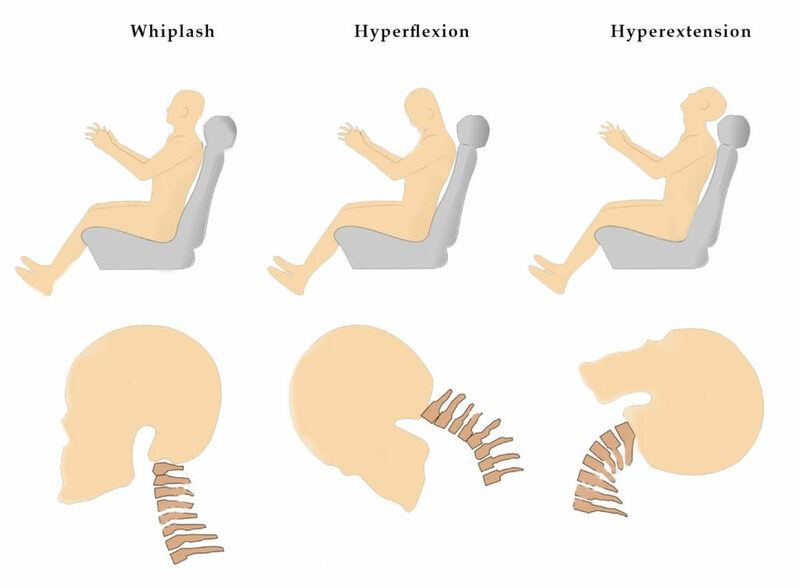 There are a couple of factors that increase the risk of experiencing whiplash symptoms from car accidents: physical body construct and the vehicle neck rest position. Women are at twice the risk of experiencing whiplash injury than men due to the neck being thinner and more flexible. This allows for hyperextension to occur far easier than in men who have more rigid necks. Another contributor to whiplash and whiplash symptoms is the position of the neck rest in the vehicle. Three-fourths of neck rests are incorrectly positioned for the individuals in the vehicle. Many people are given over the counter pain medication or muscle relaxers to reduce their whiplash symptoms. However, this method only temporarily reduces pain. It does not address the underlying problem. The neck and upper cervical spine are out of alignment and must be adjusted by a chiropractor. Chiropractors are trained to adjust the spine and neck. Pain decreases once the neck is back in alignment with the rest of the spine. With consistent treatment, the body will heal correctly and long term pain and other psychological whiplash symptoms can be avoided. Chiropractors may also recommend physical therapy in addition to receiving spinal adjustments. Here at RxWellness Spine & Health we offer top-rated chiropractic care. Our chiropractic doctors are trained to treat whiplash. We specialize in the care and wellness of auto accident patients. If you have been in an auto accident near Reston, VA and call 703.904.9666 and receive a consultation on your condition. We are located 950 Herndon Parkway Suite 130 Herndon, VA 20170.